Dr. LaShawnDa Pittman is an urban poverty ethnographer, and her research focuses primarily on the coping experiences of low-income African American women living with HIV/AIDS and urban African American grandmothers caring for their grandchildren. Currently, she is an assistant professor in the American Ethnic Studies Department at the University of Washington, where she is focusing on her forthcoming book, Coerced Mothering: Caregiving and African American Grandmothers, about forces that compel grandmothers to provide care under the harshest conditions, questions about their coping responses, and institutional and familial barriers and resources. In addition, Pittman is writing and publishing manuscripts on the structural lag between grandparent-headed households and safety-net programs while conducting a mixed-methods project to examine stress on the health of low-income African American grandmothers raising their grandchildren. Q: Could you describe the most beneficial and challenging aspects of being a solo custodial grandmother? The most challenging aspect of being a solo custodial grandmother is the economic impact of caregiving. Many of these grandmothers already had fragile finances prior to the assumption of care, as they lived on fixed incomes or wages from low-income jobs. Also, they are at the stage of their lives where their earning power and health may be declining—making it difficult to earn additional income. So managing the additional financial burden associated with providing care can be quite stressful. There’s also the stress associated with dealing with the child’s parent(s). Not all parents relinquish children voluntarily or support a grandmother’s efforts to parent their children. Moreover, many grandmothers find themselves trying to manage their relationship with their grandchild and their child without the tangible and intangible resources needed to support both. Q: What is one reality that solo custodial grandmothers face daily that most people overlook or don’t understand? A: I’m certain that they wish that people understood that they lead full lives. One significant reality facing solo custodial grandmothers are that grandparent caregiving isn’t their only role and responsibility. The majority of these women are still in the workforce, are still raising children of their own, and may be part of the sandwich generation, which necessitates also caring for aging parents. So they have many other, often competing and certainly demanding, responsibilities. Unfortunately, the tendency is to either pathologize or romanticize their experiences rather than appreciate the nuance and complexity of their lives. Q: Describe the support system they have. Who’s a part of it? How did these relationships form? A: The solo custodial grandmothers that I’ve interviewed have support but not enough. Given the insufficiency of the safety net, these women couldn’t make it without their social support network, which comprises their children, siblings, nieces, nephews, parents, and cousins; however, many report difficulty maintaining their friendships because of the pulls on their time and energy. 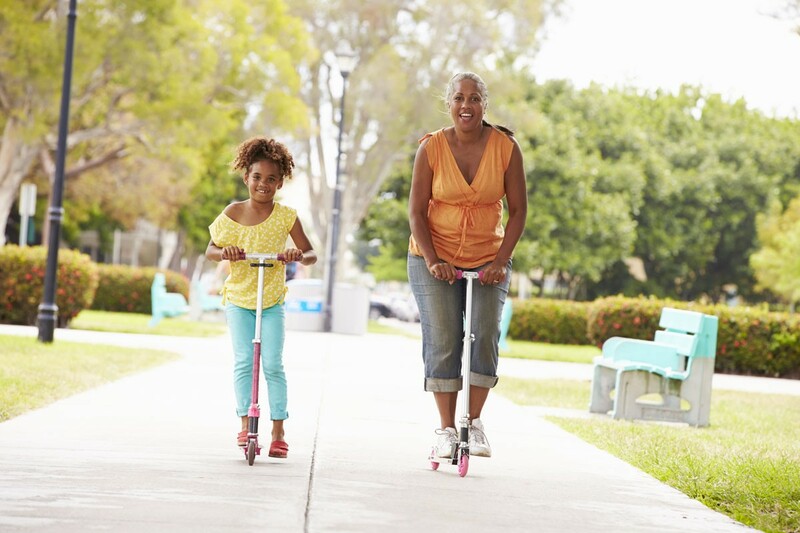 As a result, they miss out on age-appropriate social activities that contribute to their overall well-being. Q: If you had a magic wand that could solve the most pressing issue faced by Solo Mom grandmothers, what would it be? A: The magic wand would create a better safety net for grandparent-headed households. This safety net would not be based on the same criteria used for parent-headed households but would reflect the lived experiences of intergenerational families. Q: Share one thing that solo custodial grandmothers want everyone to know. A: I would say that one thing that solo custodial grandmothers want everyone to know is that caring for their grandchildren is hard; but they do it because they love their grandchildren and they want them to have the best possible future. I interviewed a grandmother who, despite being impoverished and in poor health, went to another state to wrestle her granddaughter away from abusive parents and the child welfare system. When I remarked that she went after her granddaughter with a vengeance, she corrected me, telling me that she went after her grandbaby with love. That is what I think most grandparents raising their grandchildren want people to know.